The tour starts in Tallinn. If you are interested to start the tour from Riga, please make your arrival day in Riga 2 days prior to Tallinn departures. Founded over 800 years ago, Riga is the largest and the most cosmopolitan of the three Baltic capitals. It is the unrivaled center of the country’s cultural and economic life. Riga is also an architectural treasure: medieval church spires dominate the Old Town, while early 20th c. Art Nouveau masterpieces line city’s newer streets. Riga has one of the largest collections of Art Nouveau buildings in the whole of Europe. 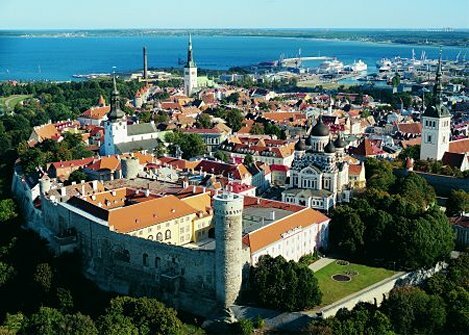 Tallinn has an irresistible blend of Eastern European and Nordic traits. And it still remains loyal to the fairy tale charms of its Old Town. In summer the medieval Old Town is busy with its many shops, galleries, souvenir markets, outdoor cafés and restaurants. Helsinki, often called 'the Daughter of the Baltic', is truly located at the crossroads of Western and Eastern culture. This is reflected everywhere in this green and lively Finnish capital. A sightseeing tour takes you around the harbors, up the central Mannerheim Street, by the Parliament Building, the Finlandia Hall, the Sibelius Monument and for a visit of the famous Church-in-the-Rock. St. Petersburg is a world-class destination featuring imperial palaces and museums that enjoy worldwide fame. The Neva River, the many canals and bridges have deservedly given the city the title The Venice of the North. Your City tour will introduce you to the views of the most noteworthy landmarks of the city: Peter & Paul Fortress, city’s oldest structure; the majestic Winter Palace, the impressive St. Isaac’s Cathedral, the Church on the Spilled Blood, the Bronze Horseman Statue, Rostrum Columns, the fashionable Nevsky Prospect & much more!